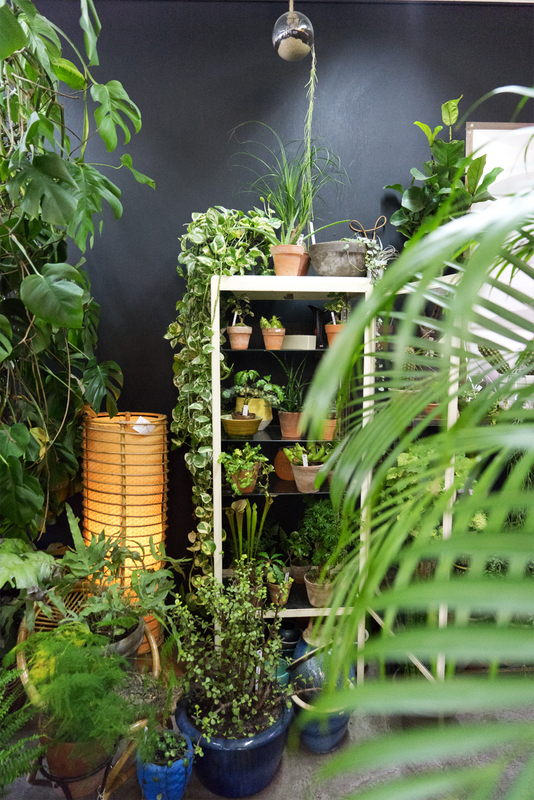 Last weekend we were in Brussels, Belgium to present our Urban Jungle book to the Belgian readers and host a plant hanger workshop. 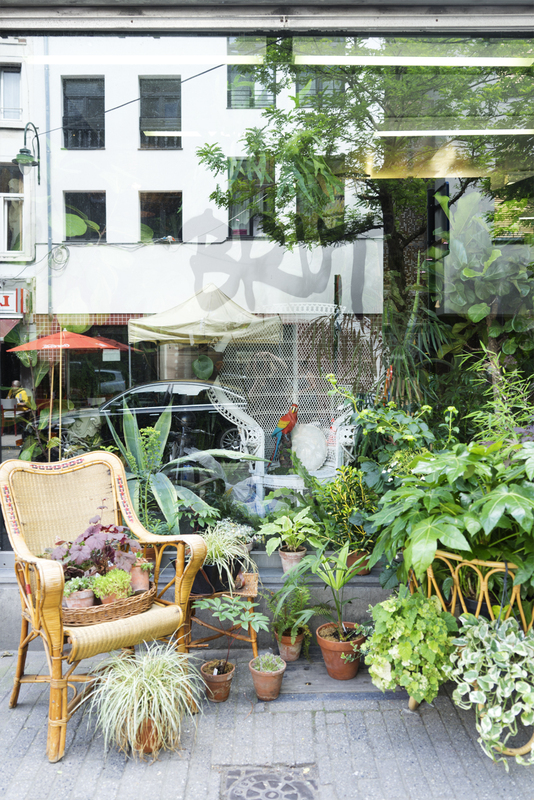 And as always when we travel, we had a list of “planty” places that we absolutely wanted to visit because we heard so much about them. 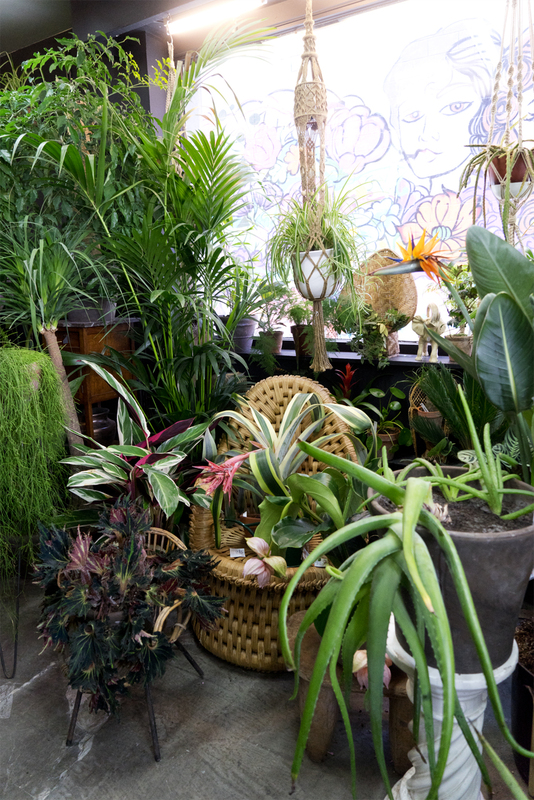 One of them was BRUT: they call themselves a vintage shop, which is actually true: they have an impressive amount of vintage plants on display! 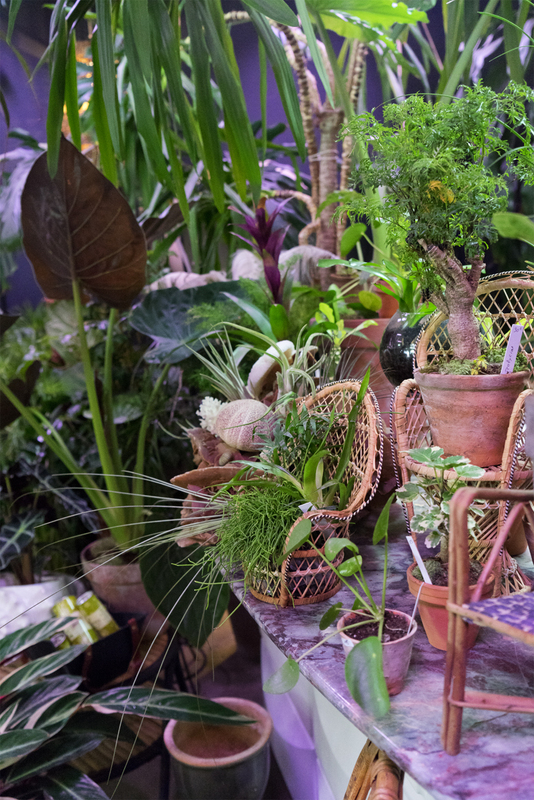 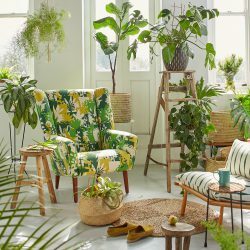 Together with vintage outdoor furniture, like rattan armchairs, exotic peacock chairs and large macramé hangers from the 1970s, they propose so-called “plant curiosities”. 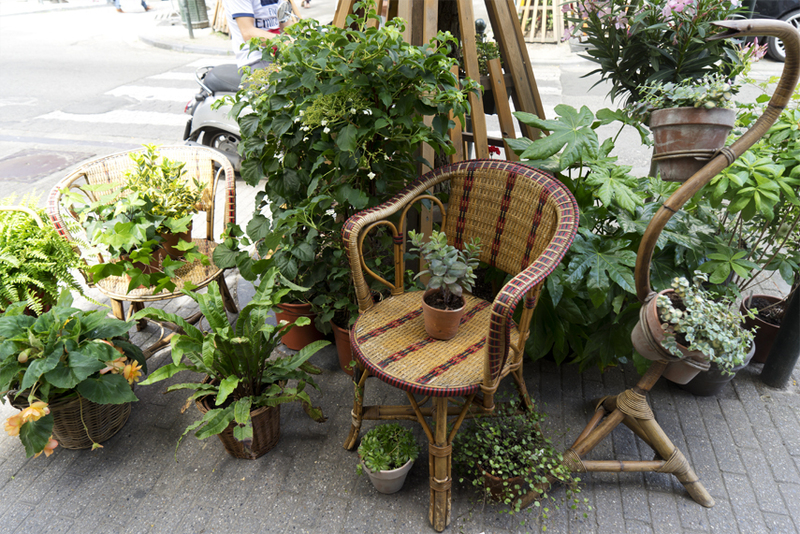 BRUT in located in the Marolles neighborhood, not far from the big Sunday market near the Midi Station and the Marolles fleamarket. 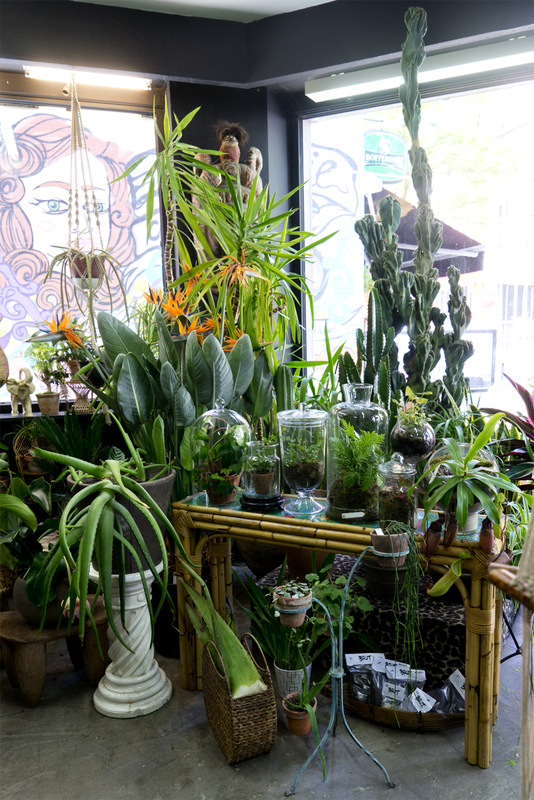 Once you enter the lush shop in the Marolles neighborhood, you immediately feel the humidity in the air going up. 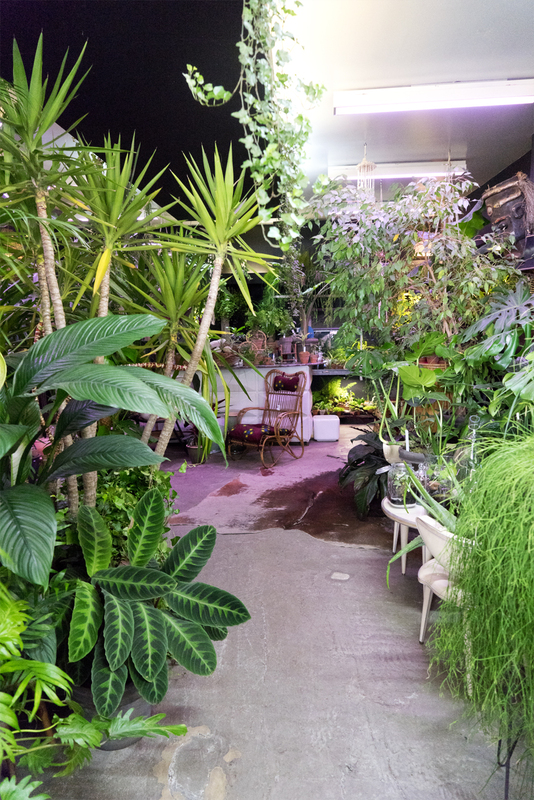 It feels and smells almost like a real jungle. 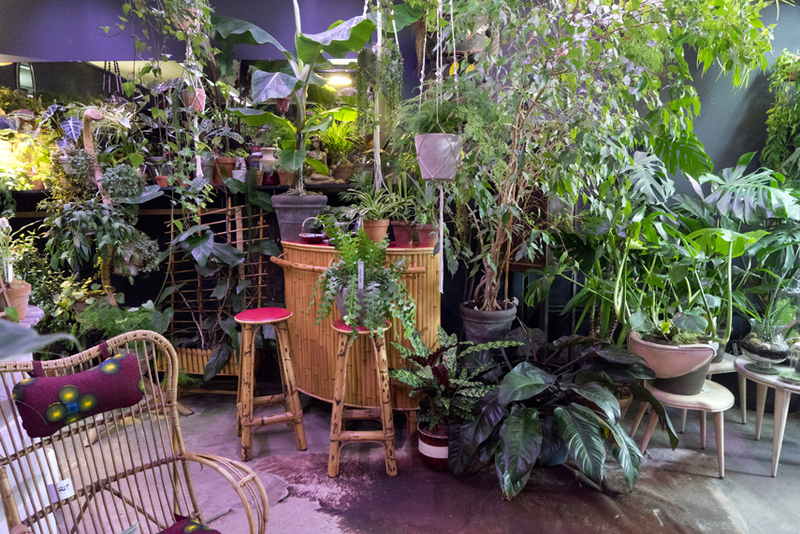 And inside awaits a wide range of rare, weird, intriguing houseplants… Paired with terracotta, rattan, formica and old cabinets. 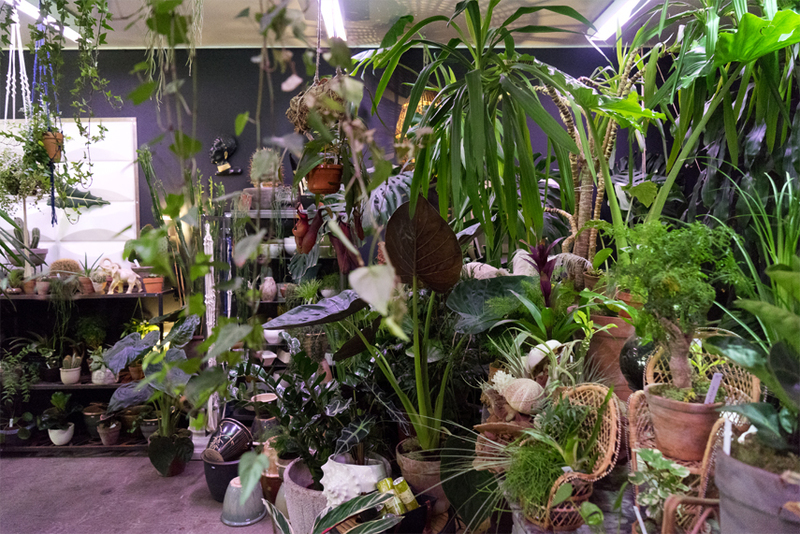 Which resonated with their motto, that goes like this: Supplier of plant curiosities and vintage furniture, BRUT is the reflection of a fringe of society caring for its environment, preferring the durable over the ephemeral, the original over the copy, the craft over the mass production. 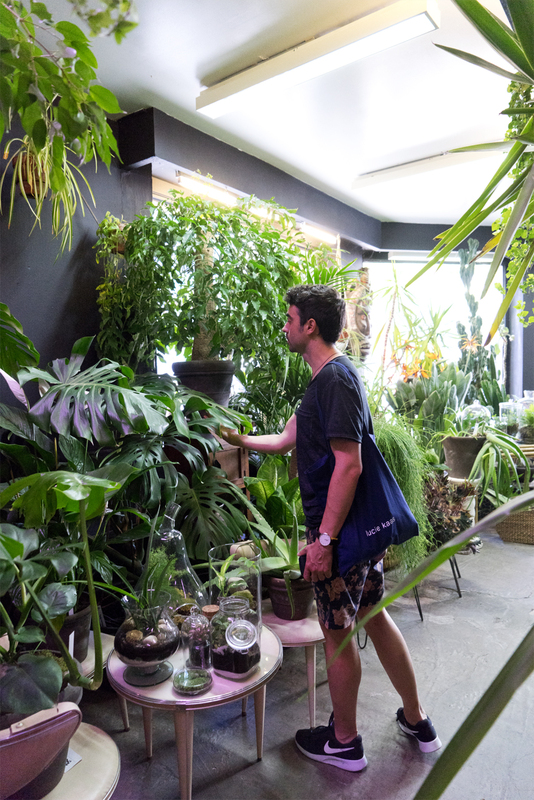 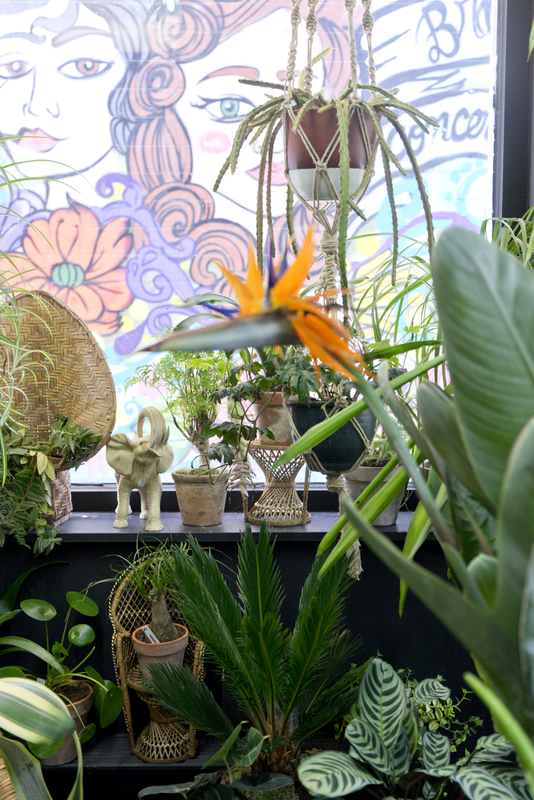 While we found their price tags were kind of steep, BRUT’s selection of beautiful old plants, including a 40 year old Monstera deliciosa and a quirky 25 year old Dracaena is truly amazing. 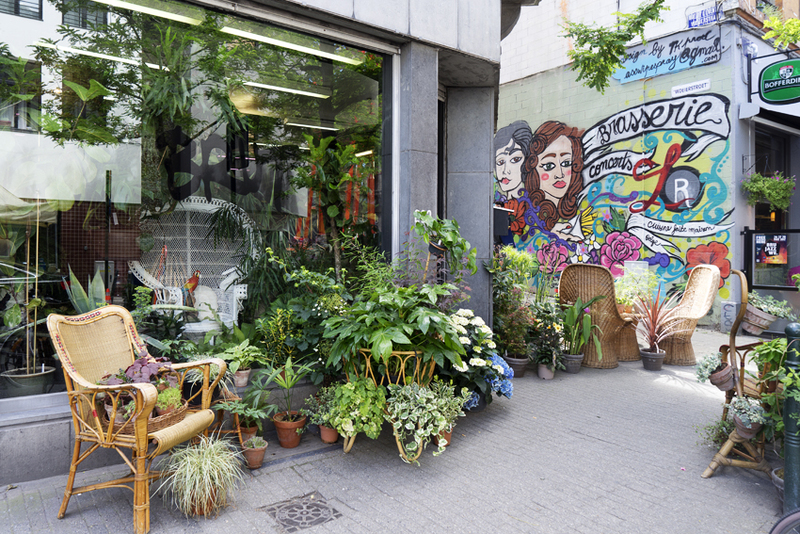 If you’re looking to add some character pieces to your urban jungle, this is the shop to go to! 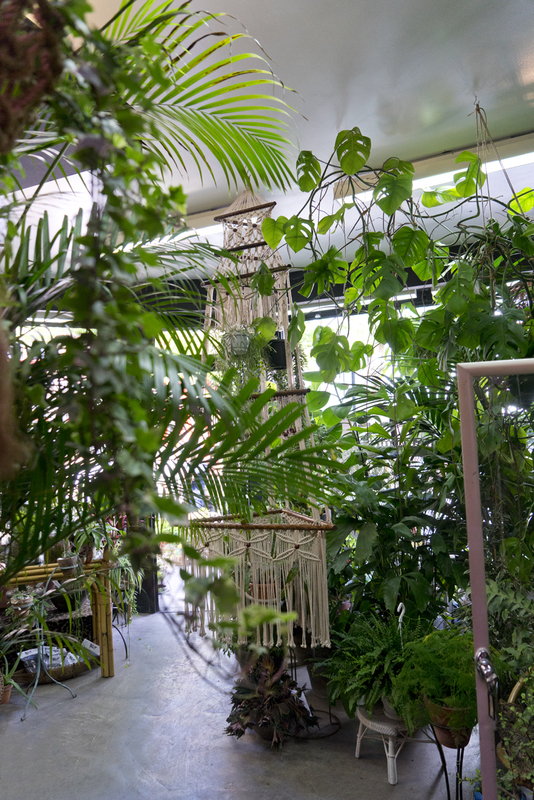 This spring, BRUT opened a second boutique, called La Pharmacie, located in the hyped Ixelles area. 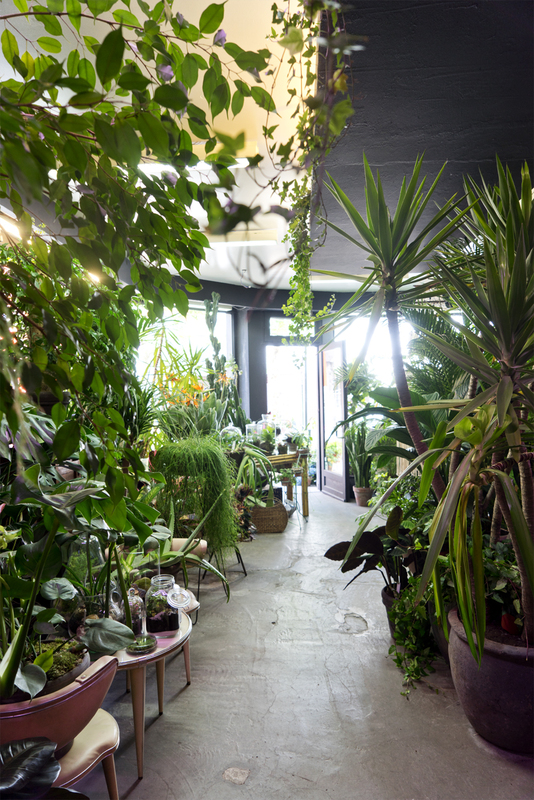 We didn’t have the chance to visit this time, but we will be back!